Topshop Hong Kong flagship store opens! ... With Girls Generation! Fashion retailer Topshop is opening their first store in Hong Kong on June 6th, 2013. Located at 59 Queens Road Central, this is the only Topshop store in greater China. As one of the last major fashion retailers left to establish a foothold in the city, this is a highly anticipated opening. The H.K. flagship is 14,000 square feet and will carry their high end ‘Unique’ line (that shows at London Fashion Week,) plus their ‘Boutique’ line, as well as their much sought after, limited-edition collaborations. Rather than a basics store, the flagship emphasizes Topshop’s more fashionable side. Topshop joins a neighborhood that has recently acquired other foreign tenants including The Gap and Abercrombie & Fitch. 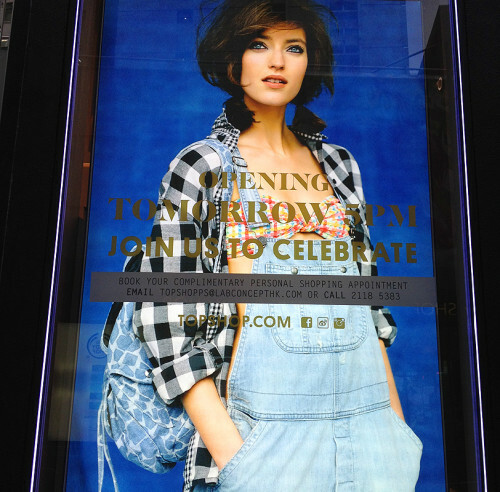 The location is nearly across the street from the H&M flagship store that will soon be taken over by Zara. Once home to mostly luxury shopping and small shops, the area has been transformed into a medium-priced fashion hub. For store ambassadors, Topshop selected Korean Pop star Kim Hyoyeon from Girls’ Generation (SNSD,) as well as local singer G.E.M.. The SCMP has an in-depth article on the brand as well as notes the interesting fact that Topshop’s head of design, Emma Farrow, was born in H.K.! 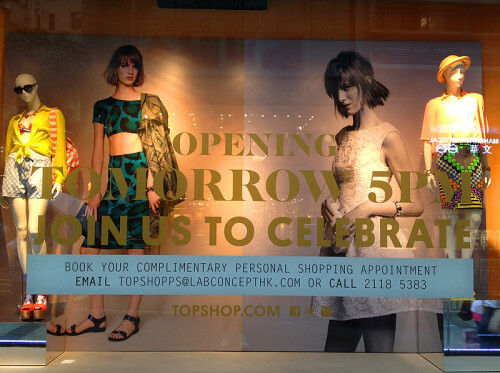 Topshop opens on Thursday, June 6th at 5pm. You can follow the action on their Instagram account! 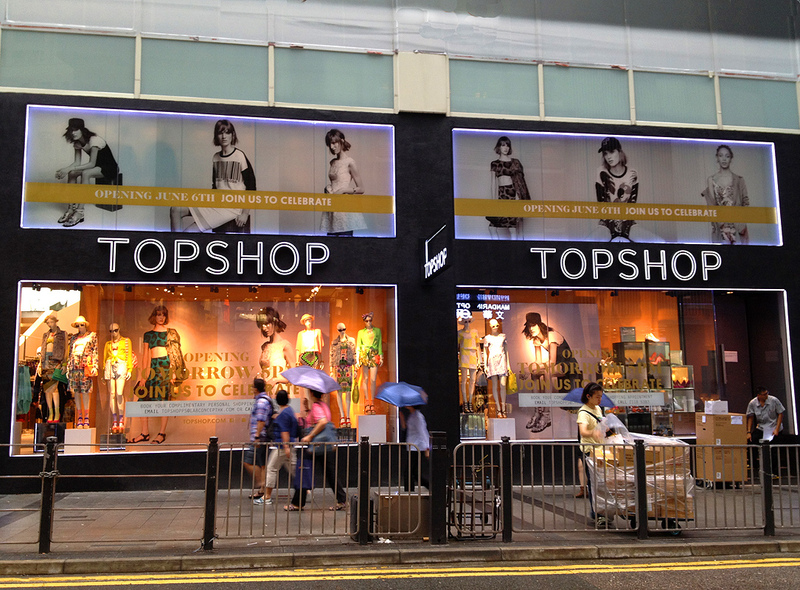 If you’re already familiar with shopping in Central, it’s easy to find the new Topshop store. It’s located almost across the street from the H&M flagship store on Queens Road, just a little further down in the direction towards Sheung Wan. For everyone else, this post is for you! 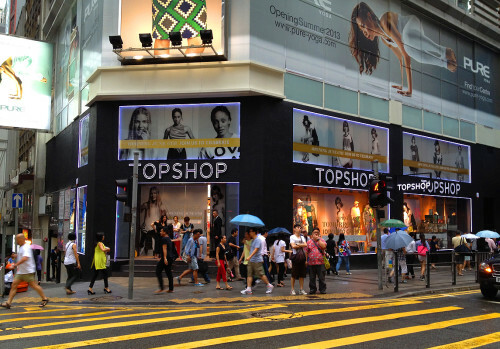 Topshop is a short five-minute walk from the Central MTR station. 1. Take the Tsuen Wan line (Red) or Island line (Blue) to the Central MTR station. 2. Look for Exit D, and when it splits into two, *take Exit D2* – it’s clearly marked by a sign. 3. Once you walk up the stairs you will see an alley-way. Step out of the MTR exit and take a right, through the alley. As you leave the alley, take a quick left and you will be walking on Theatre Lane towards Queens Road Central. COACH will be directly in front of you, and The GAP will be on your right. Do not cross the street. 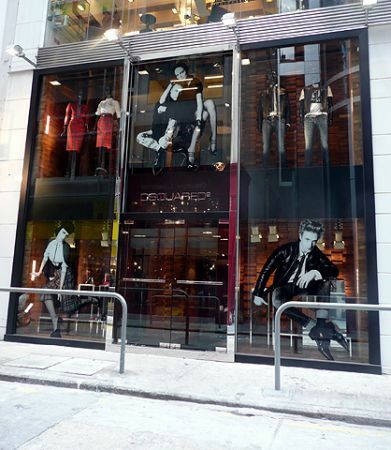 4.Take a right, and walk along Queens Road (in the direction of Sheung Wan) for a long block and you will get to number 59 Queens Road Central, where Topshop is located. Check out our Vine for visual directions! Except Topshop to be packed for the next week! Previous articleSimian Mobile Disco coming to Cubic! Next articleS.T.D. invades Hong Kong!